The Sun King’s musical library! The year 1715 marks the tercentenary of the death of the Sun King. As well as being the autocratic personality who plunged his country into famine with his endless battles, Louis XIV was also responsible for an artistic system developed from beginning to end of his 60-year reign. At the moment when Versailles became the palace we know today, music played a crucial role in his royal ascent, meticulously arranged around him, his court, his desires and his hunts. 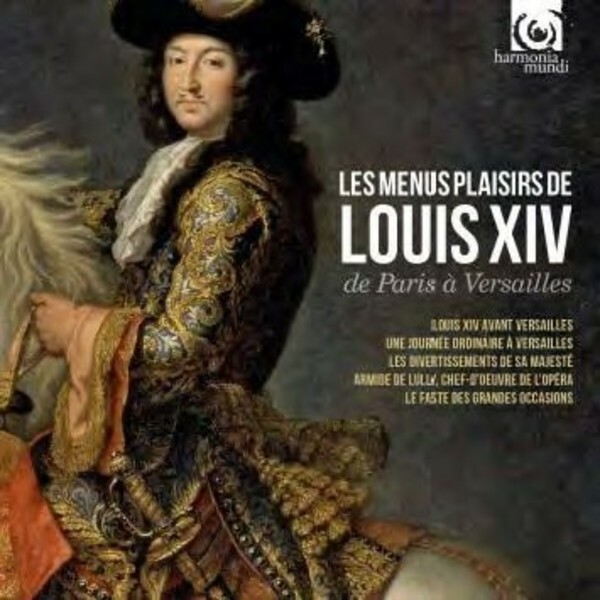 From the blossoming of the young Louis to the pomp of Versailles, by way of the musical accompaniment to the events of an ordinary day in the palace, the artists of harmonia mundi lay the table out before us: the banquet will be truly royal.